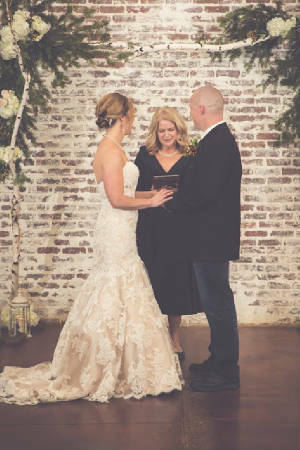 As an ordained Non-Denominational Wedding Officiant, I can officiate ceremonies at the location of your choice, making your day beautiful, one step at a time. The common theme of all ceremonies is that they celebrate couples' love for one another, no matter of faith, lifestyle, background or culture. Whether the event is a private one, just for the couple, an intimate family celebration, or a large gathering of loves ones with friends and families, we will work together to put together the ceremony that matches your vision of your special day. Let me help you create lasting memories on your special day. Call me today to schedule your free consultation. Please read my wedding blog for some of my favorite events and vendors.